Elephants on the trail to the Amber Fort while a vendor offers fabric. Add tags for "Elephants on the trail to the Amber Fort while a vendor offers fabric.". Be the first. 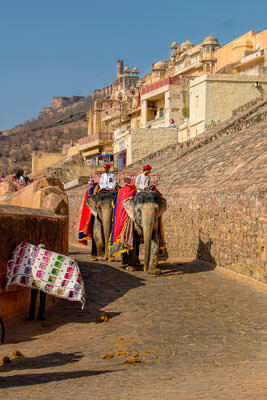 <http://www.worldcat.org/oclc/959238325> # Elephants on the trail to the Amber Fort while a vendor offers fabric. schema:about <http://www.worldcat.org/oclc/959238325> ; # Elephants on the trail to the Amber Fort while a vendor offers fabric.